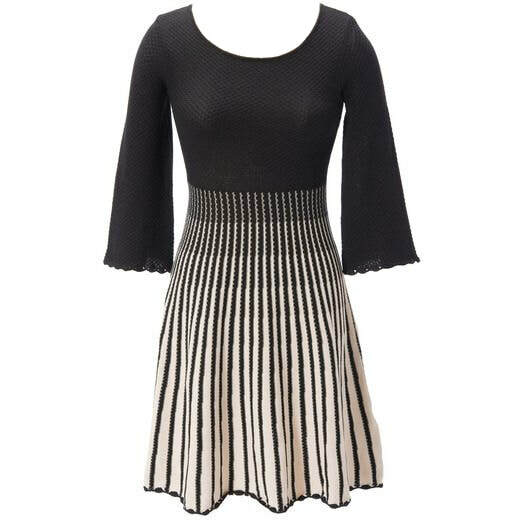 The sweater dress by French Connection features a scoop neckline with a black solid bodice, and cream striped skirt that starts at the empire waist. It is finished with cropped bell sleeves. STYLE FILE: French Connection Sunrise Tellin Knit Dress as seen on Kate Middleton.